Cheese, garlic, nuts and basil – a few of my favourite things and all in one place! This delicious pasta becomes so creamy with the roasted acorn squash and is so easy to make – a perfect weeknight meal in under 30 mins! Combine the pesto and acorn squash together in a bowl. Mix until thoroughly combined. 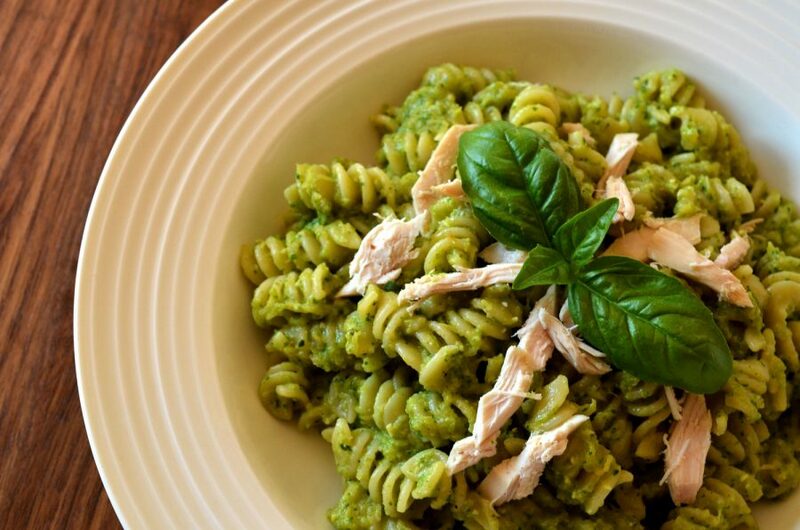 Add the pesto mixture and chicken to the freshly drained pasta. Mix until the cheese in the pesto starts to melt (about 2 mins). Plate and serve with shredded parmesan on top if desired.